We always think of saving precious things and one such thing is water! If there is no water, there is no life! 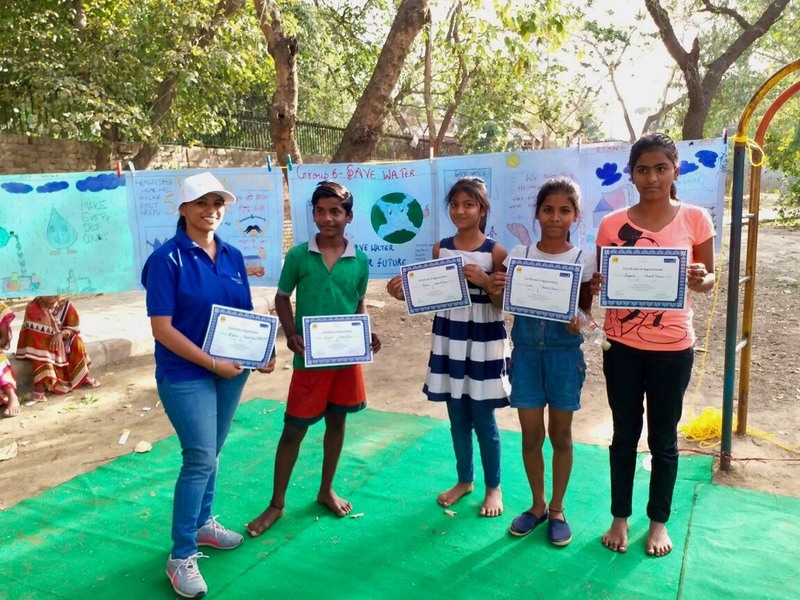 Nestle initiated a water conservation drive on World Water Day recently with little slum children, teaching them the importance of hygiene, sanitization and water conservation spending a day playing with them and having lots of fun with colours & paper. It is alarming to hear that 75% children suffer from water borne diseases and 38 million people are affected by water borne diseases due to lack of facilities, infrastructure, faulty habits, lack of sanitization & cleanliness, lack of knowledge & ignorance. Nestle has made sanitation facilities available for girls in schools where there was urgent need of it. They made it possible for girls to be educated and aware of their body & the right kind of knowledge required while growing up, how to become socially responsible and keep themselves sanitized, well fed, healthy and clean. So educating them and making them aware of their future, their basic needs, their health and inculcating good habits in childhood will give them a better future. Nestle started educating children not only girls but children across many places- Moga (Punjab), Thane (Maharashtra) amongst many others through fun activities, making them learn best at their age, making them prepared for their future, playing, laughing and making them understand the basic important things in life having Nestle volunteers teach them and this is what Nestle can say proudly that the little hopes and dreams become big as the child becomes a better human being. Team ChicLifeByte was happy to know 117,000 girls benefitted from the sanitation drive. 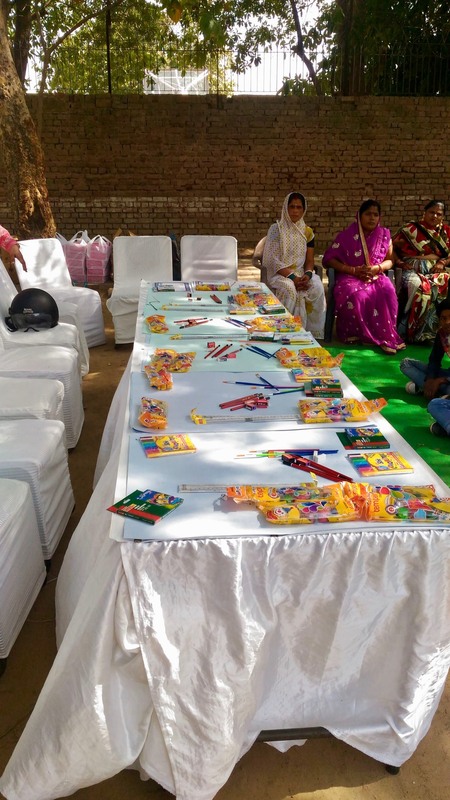 Nestle India works with various NGO’s and this is yet another step for children and smiling little bundles of joys for their own development making their growing up years easy & question free. Another unique initiative taken up by Nestle is rice intensification & sustainable sugar initiative to reduce water withdrawal from the Kabini Basin. Nestle is teaching & educating small children about importance of clean water & sanitization by simple steps like boiling water before drinking as they don’t have Aquaguard or RO at their homes, consuming clean water, conserving water since water is precious and hence making their lives and moments happy. Children from all age groups are covered under the Nestle program like 10-14, adolescents (14-17) and youth (18+). We got to know that its easy to mould younger minds, they listen to you patiently as they want to see a change and are ready to adapt good habits & smilingly face the world with educated minds and enriched thoughts. Invoking them in games and sports is always fun as by this method they learn quickly and realize the importance of good habits & behavior in life. The Nestle team is already working across places (Delhi, Vishakhapatnam, Mumbai, Hyderabad, Bangalore, Mysore etc.) while spreading to new states (Punjab, Haryana, Chattisgarh, Orissa and many more ) which they have started working on. They are doing interesting and fun activities with kids in Chennai, Tamil Nadu & Delhi. In a unique initiative which we witnessed, Nestle India has joined hands with Magic Bus and are working together with youth mentors identifying areas, training & monitoring program while training the youth leaders too. This way there is a chain of efforts while joining hands which work together for the set targets or goals i.e. child development. Team ChicLifeByte too joined in to get you information on the initiative where fun activities with children took place at Vasant Vihar ground and each child got a chance to play. Nestle volunteers interacted with the kids and made the fun sessions livelier. 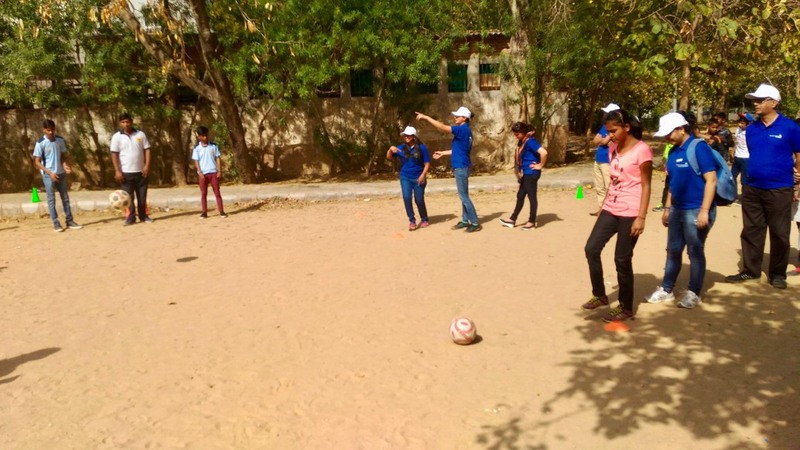 All this was done to teach team building, coordination and education to the young children through simple & effective playful methods. There was also a poster making competition on the topic Water Conservation in which the children showcased their talent and spread across their thoughts, feelings, ideas and expression on paper with pens & colours, making the water conservation activity drive more meaningful and beneficial. With young innocent eyes, little steps become big in future and it is so inspiring to see the budding young children who want to grow & do well in life, become educated & sound with education and build a bright future, a better tomorrow for themselves and for those associated with them. Kudos to the Nestle team for making the dreams of little children possible! With this initiative and their interest in making their future brilliant & giving them a guiding spirit and positive light, they know what is wrong & what is right and behold their destiny for a future that stays and says always bright. Thank you Nestle, Team ChicLifeByte salutes your sincere efforts!